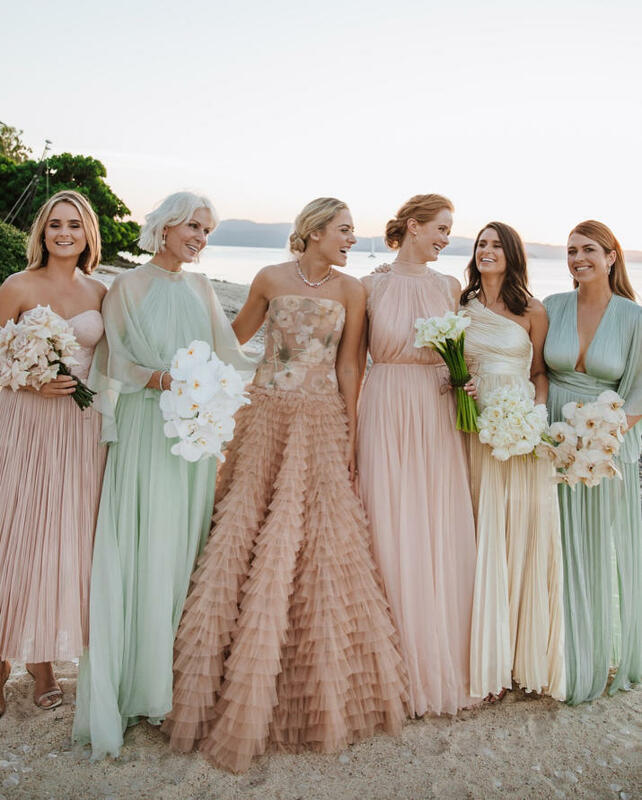 Stunner and insta-influencer, Deborah Symond wedding to fiance (now husband) Ned O’Neil at the Qualia Resort, Hamilton Island is nothing short of perfection, scoring a perfect 10 in every wedding angle, from fashion, style, colours, and location. 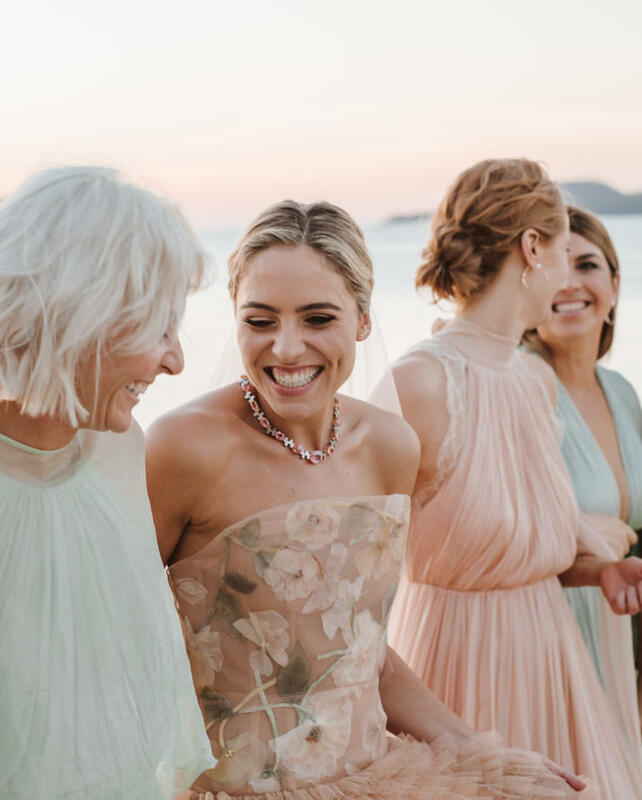 Deborah Symond is the founder of Mode Sportif founder and heiress of Aussie Home Loans founder John Symond. Husband Ned O’Neil is the son of superyacht broker and Rose Bay Marina owner Denis O’Neil. 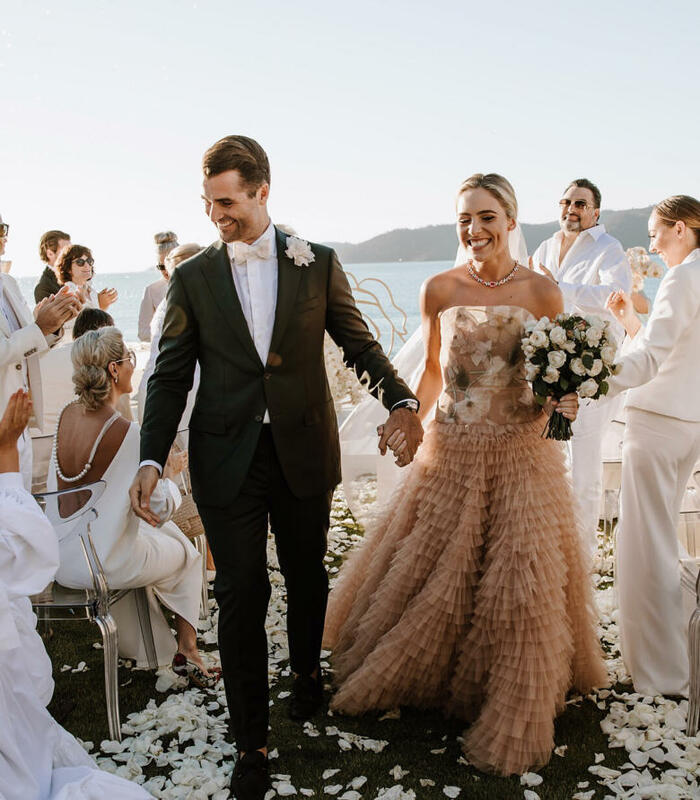 The couple opted for a destination wedding, hired out the entire Qualia resort for the wedding and hosted 120 of their close friends and family to a three-day extravagant yet stylish celebration. The adult-only private luxury estate Qualia Resort at Hamilton Island, Queensland is one of Australia best luxury getaway for the rich and famous and boost a stunning Eucalypt-framed view of the ocean beyond the infinity-edge pool. 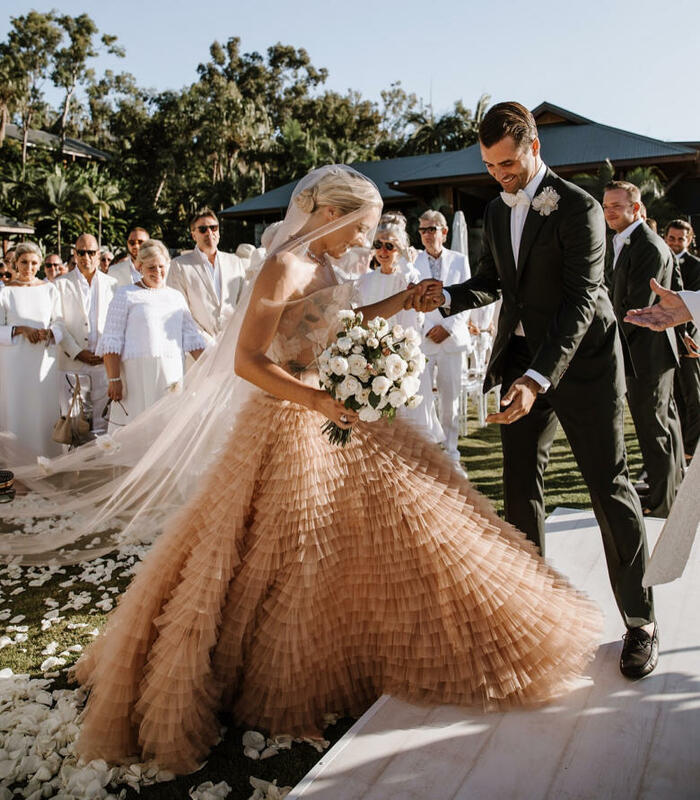 If you are wondering about that beautiful dress the bride was wearing, shunning tradition, Symond, wore an incredible $200,000 dusty pink Christian Dior haute couture gown, instead asking guests to dress in white for the big day. 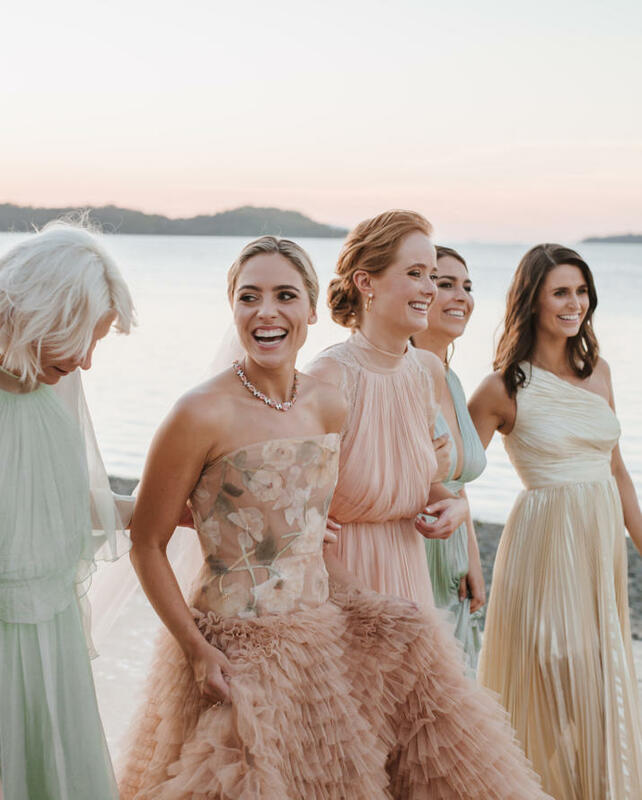 In the words of the wedding photographer Alice Mahran on Instagram, “I won’t even try to pick my favorites of this wedding” and we absolutely concur. 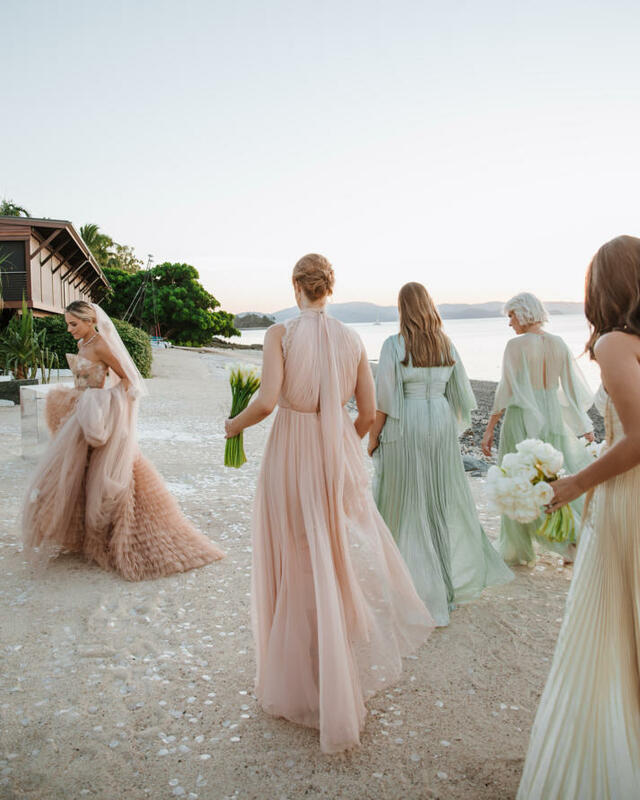 I mean how do you choose a favourite photo or moment from this wedding? Look at them! 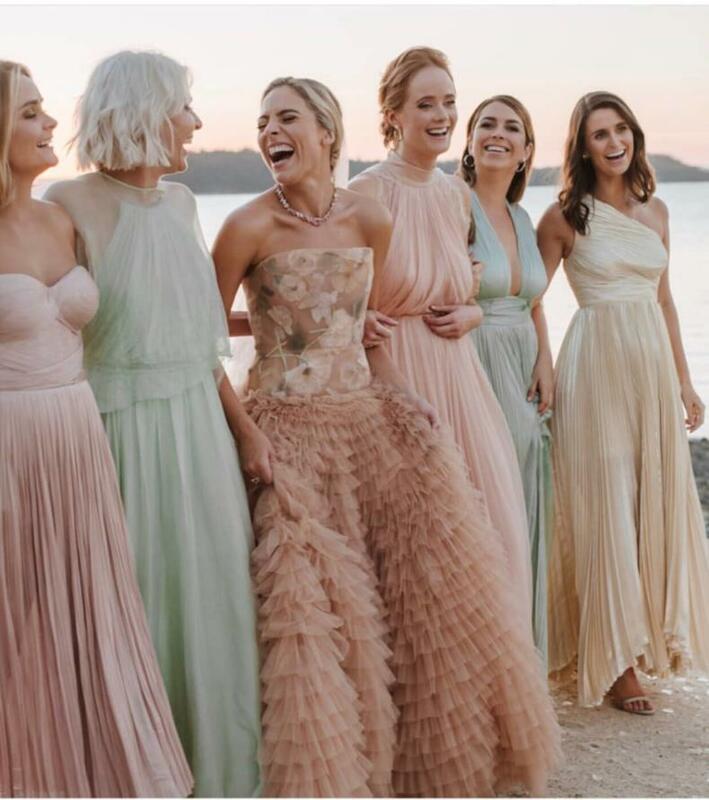 and from scrolling through Instagram, even her rehearsal dinner is not short of gorgeousness too. 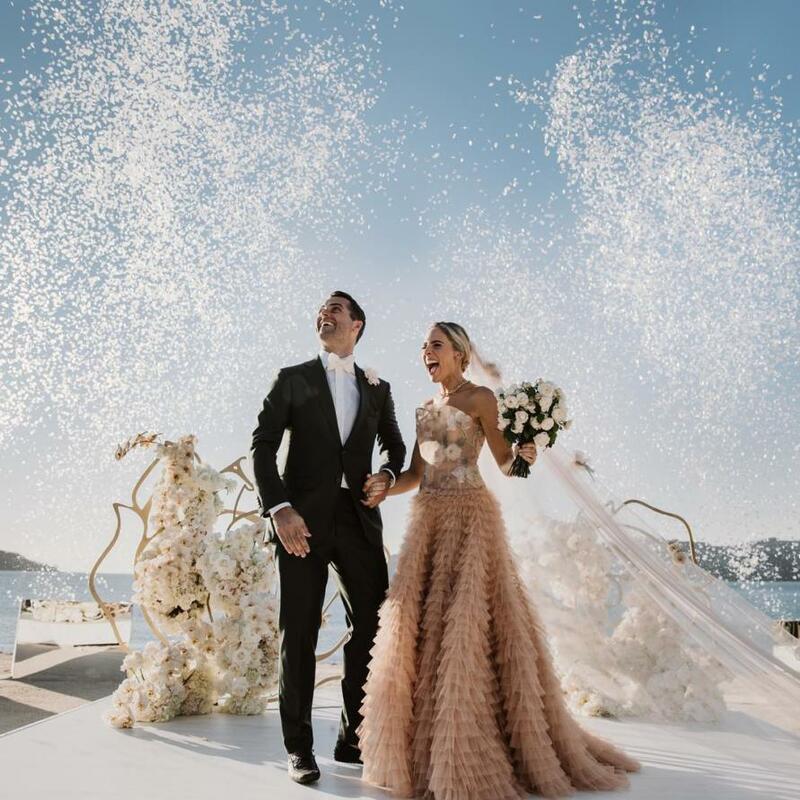 We are guessing, Deborah must have invested a lot of her time and her excellent sense of style in curating this perfect dream wedding. 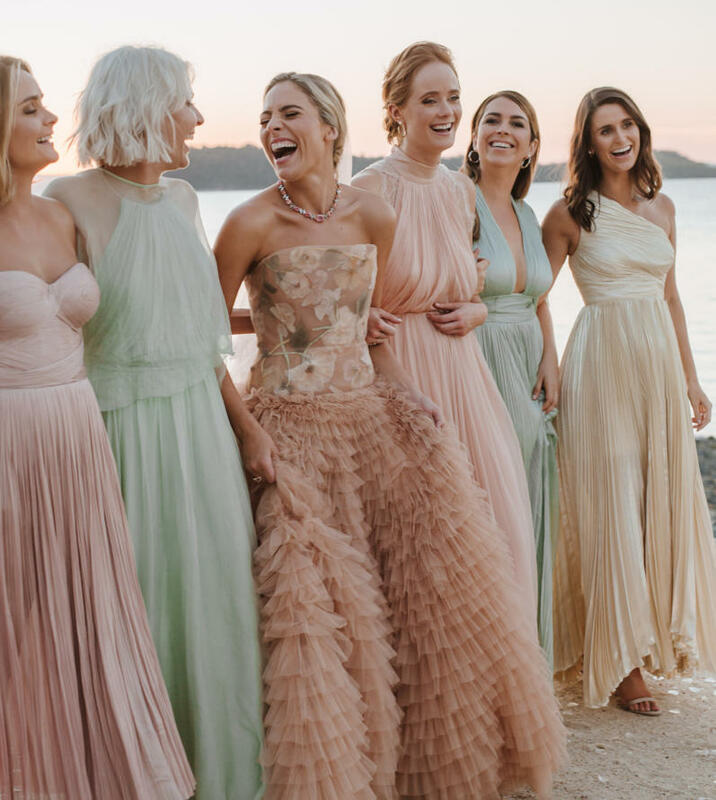 Without a doubt, the people she picks to work with for her wedding must have been equally ‘notch-above’ in capturing her brilliance. We’ve reached out to the bride for an in-depth interview. Whilst we await her response, we’ll leave you some photos to inspire you with. 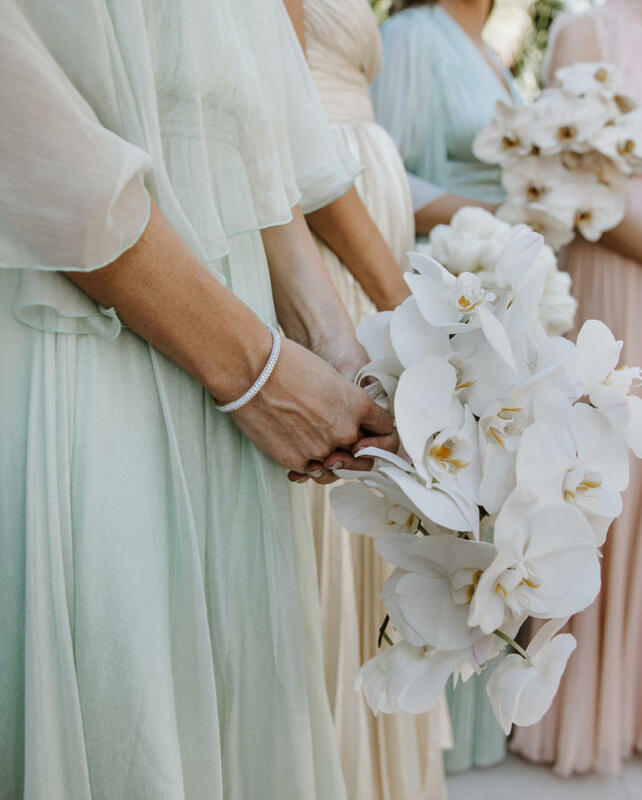 Hopefully, we will be back very soon with more details and tips from the bride and we’ll get to share her brilliant sense of style and wedding with you.